ড. 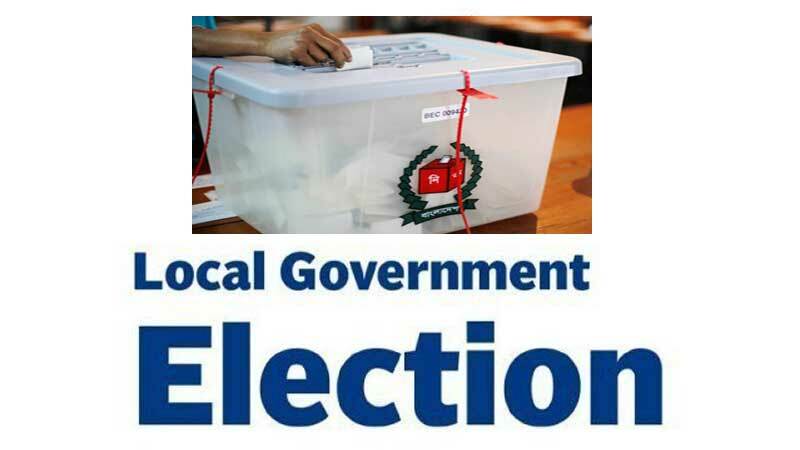 বদিউল আলম মজুমদারের ওয়েবসাইট: What is the rationale of partisan local government elections? 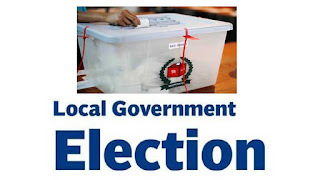 What is the rationale of partisan local government elections? The cabinet has recently decided in principle to allow the use of party symbols in local elections. This, we are afraid, is a dangerous decision, which could unravel what is left of our democratic system after the much controversial election of January 5, 2014. Three arguments are usually offered in favour of party-based local government elections. First, it would allow political parties to impose their discipline on representatives elected with party nominations. Second, it would make the local government elections 'political' as non-partisan elections are 'non-political'. Third, the political parties do not abide by the existing system of non-partisan elections, hence we should change the laws. We feel that these arguments are weak and erroneous. Let us look at the argument of party discipline. Proponents argue that with partisan elections political parties could take disciplinary actions against representatives - elected with party nominations - for their illegal, immoral and unethical activities. This argument makes no sense, as our major political parties do not have the record of taking actions against unsavoury behaviour of elected representatives. Only in exceptional cases, where representatives made comments on sensitive issues like religion, have our political parties taken punitive actions in the past. Election, whether partisan or non-partisan, is a political process. Thus, those who argue that non-partisan elections are non-political and through non-partisan elections, de-politicisation takes place, seem to lack clarity in their thinking. The argument that political parties do not play by the rule, so rules must be changed is also unacceptable. Unfortunately, our political parties and many politicians, for that matter, do not abide by many laws and rules. Does it mean that we should scrap all those laws? Since the arguments for party-based local elections are not convincing, the government should not go ahead with it, notwithstanding the recent decision of the cabinet. In fact, in our present political culture of flouting the basic democratic norms, and the poor state of our political parties, partisan local elections may produce very dangerous outcomes, further unravelling our democratic system. One of the basic democratic norms is to show tolerance and respect for political opponents and dissenting voices. But in Bangladesh, our political parties not only can't tolerate political opponents, they are also engaged in violent confrontational politics and even efforts to annihilate each other. They do not respect even people's right to freely vote. Such an environment is not conducive to free and fair elections, which is a prerequisite for a democratic government, created with the consent of the people. Given this, partisan elections will only promote 'party-archy,' reflected by blind allegiance to parties, rather than strengthening our democratic system. For holding party-based local elections, we must also have democratic, transparent and accountable political parties. Parties should not be criminalised, autocratic or committed to the wellbeing of the privileged. Unfortunately, we have not been able to nurture such political parties in Bangladesh. As our wise poet Tagore aptly put it, Bengalis know only to fight in the name of parties, but they cannot build parties. Thus, if we are to realise the benefits of partisan local elections, if indeed there is to be any benefit at all, our ruling party should immediately initiate a broad-based dialogue to reach consensus on changing the prevailing political culture to ensure that all political parties practice democratic norms and values. The consensus must also be on reforming political parties to make them democratic and free of criminalisation. In addition, they must develop democratic procedures for nominating candidates. The goal of the proposed dialogue and consensus building will be to hold free, fair and peaceful – i.e. genuine - elections. In addition to the disabling political culture, another formidable barrier is the partisan tilt of key institutions that lead to rigged elections. Thus, our political parties must reach a consensus to make these institutions behave neutrally before going ahead with party-based election of local bodies. Without desirable changes in the political culture and the proposed reforms, partisan local government elections are likely to be tainted by widespread use of money and muscle power for securing nominations and bringing down the quality of candidates. Party cadres and governmental powers may also be used to make threats, file cases and otherwise harass the potential candidates from opposition parties. The opposition candidates may even be prevented from participating in elections. Interestingly, a recent article in a Bangla daily (October 12, 2015) pointed out that during the last Panchayat elections in West Bengal, 25 percent of the potential candidates were prevented from filing their nomination papers by armed political cadres. It must be noted that the Indian Election Commissions are non-partisan and the partisan biases of West Bengal bureaucracy and law-enforcement agencies are not as serious as ours. Thus, without the proposed changes, there is likely to be ruling party 'capture' of our local bodies. Ruling party capture of the local bodies would surely further strangle our democratic system. The ruling party already has the executive branch and the parliament under its iron grip. Because of partisan appointment of administrators, the Zila Parishad is now under the control of the ruling party. The ruling party MPs have also taken control of the Upazila Parishads. Now, if the remaining local government bodies can be captured through partisan elections, the ruling party's control over all political institutions would be absolute, which would be an ominous development, threatening the very foundation of our democratic polity. Ruling party capture of the local government bodies and the practice of party-archy may also lead to deprivation of people, who do not belong to the ruling party, of the important services those bodies offer. In addition, because of the dominant influence of party 'symbols,' the independent candidates, who are in general better candidates, would be eased out of the race. Since only limited number of women would be nominated by the ruling party, opportunities for women to get elected in local government bodies will also shrink. Thus, partisan local government elections will not only lower the quality of elected local representatives, it will also impede the political empowerment of women and the growth of women leadership. This is a very logical critic of the wrong decision already implemented by the government. Thank you sir.